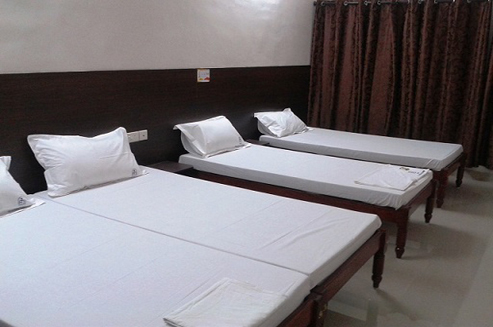 Situated at the heart of Thiruvananthapuram City, we have well attended spacious rooms to suit your comforts. At Prathiba Heritage we are noted for our warm and friendly atmosphere. Our aim is to offer you the best possible attention while you are away from your home. Cleanliness and hospitality are our top priority. 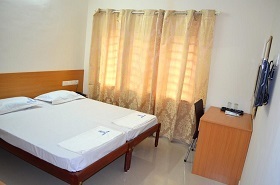 All rooms (A/C and Non-A/C) have attached bathroom, Telephone, Cable TV, 24 hours room service etc. 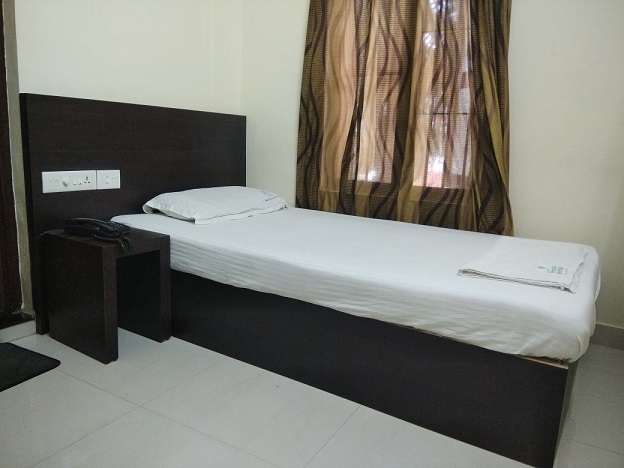 If you are looking for a comfortable hotel room at Trivandrum/Thiruvananthapuram at a budget rate this is the place to be. Feel free to approach the reception desk for any help. We are ideally located close to Sree Padmanabha Swamy temple. FeaturesMost affordable A/c room you can find in the city. This room features two single beds. 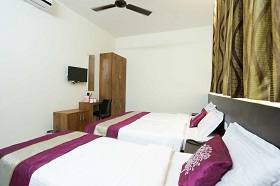 FeaturesIdeal room for lone travellers at the best affordable rate. This room features a wide single bed. FeaturesIdeal for a small family. This room features three single beds. FeaturesAffordable room for a small family. This room features three single beds. - The rates quoted are based on your period of stay. Rates are subject to change as a result of changes in your arrival and/or departure dates. 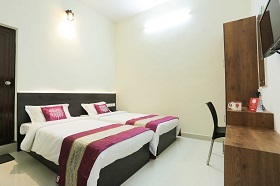 - The maximum number of guests per room is as mentioned in respective rtoom types. Children above 10 years old is considered as an adult. INR 300 will be charged for each additional adult staying in rooms. Children who are 10 or younger sleep for free in the existing bedding of a room shared with a paying adult. Fees apply should an additional bed be required. - The rates are for accommodation only and doesnt include any meals or beverages. - Late check-outs and early check-ins are available on request subject to room availability and occupancy level. - Please check with the Hotel's Front Desk at least 24 hours prior to your departure on availability of late check-out. - A half-day room charge may be incurred for late check-out between 11am to 4 pm and a full day room charge may be incurred for late check-out after 4pm. 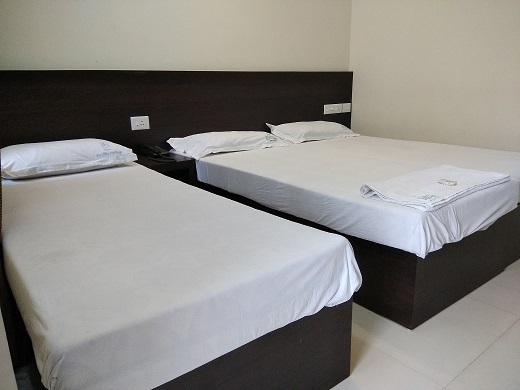 - Hotel Prathiba heritage respects the privacy of all its customers and business partners, and treats personal information (personal data) provided by you as confidential. Any information provided will not be given out to third party companies without your permission.